Become a member of LWVTSC or renew your membership today! Go above and beyond an individual or household membership: becoming a sustainer for just $30.00 more! LWVTSC uses PayPal to accept credit card payments online. A PayPal account is NOT required to pay membership dues using a credit card. However, a free PayPal account does allow you the option to pay directly using a bank checking account. A $3.50 transaction fee is added to online payments. Join or renew membership online. Want to register by mail? 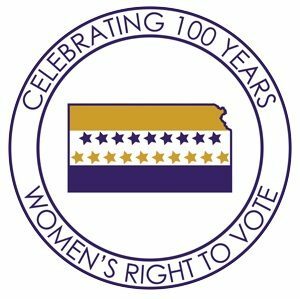 Pay with a check by sending your membership dues directly to League of Women Voters, 4608 SE Oak Bend Dr., Berryton, KS 66409-9227. Our membership year and renewals begin November 1. Your dues include membership in the state and national LWV. Membership is open to all women and men age 16 and over. Dues and contributions to LWVTSC are NOT tax deductible.